Another day, another healthcare ransomware attack. This time it was the Rainbow Children’s Clinic – a team of dedicated pediatricians providing medical services to children in the Grand Prairie/Arlington area of Texas. On August 3, 2016, a hacker gained access to the clinic’s computer system and encrypted a range of data stored on its servers including the protected health information of patients. The ransomware prevented critical patient files from being accessed, which naturally had a direct impact on patients. However, in addition to encrypting records, an investigation of the security breach by an independent computer forensics expert revealed that some patient data were deleted and have been irrevocably lost. The data that were encrypted or deleted include names, dates of birth, addresses, Social Security numbers, medical information, medical payment information, and guarantors’ names, addresses, and Social Security numbers. Patients affected by the security incident have been notified of the breach by mail. All have been offered credit monitoring and identity theft resolution services for a period of one year without charge out of an abundance of caution. It is unclear whether the attacker copied any data from the servers. The attack prompted Rainbow Children’s Clinic to conduct a thorough review of network and data security measures and security is being enhanced to prevent similar attacks from occurring in the future. The breach report issued to the Department of Health and Human Services’ Office for Civil Rights indicates 33,698 patients have been impacted by the ransomware attack. The incident highlights how important it is for healthcare organizations to ensure regular backups of patient health information are performed. Data backups should be stored off-site or in the cloud. If portable storage media are used, they should be disconnected once backups have been performed. 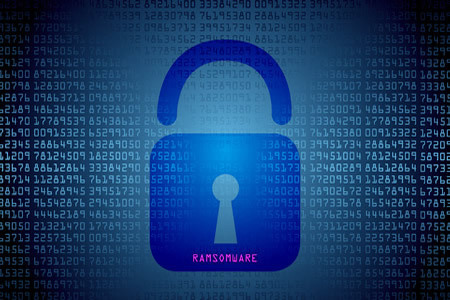 The latest ransomware variants are capable of encrypting data on networks and backup devices or even deleting backup files. It is also essential to test backups to ensure that data can be restored. Recently, Marin Medical Practices Concepts, Inc., – a vendor of California’s Marin Healthcare District – discovered a backup had been corrupted, preventing the recovery of patient data. In that case, the ransom was paid and the attackers supplied a viable key to unlock the encryption. Paying a ransom for keys to decrypt data may be a last resort, but there is no guarantee that viable keys can or will be supplied by the attackers.